A popular observation about silent films was that they had reached their peak by the time sound was introduced. Recently watching Dziga Vertov’s avant-garde Man with a Movie Camera, it’s hard to argue with such a case. Often found on countless “greatest movie” lists, including the always reputable Sight and Sound poll, this culmination of the “city documentary” genre exceeds in just about every boundary imaginable. As Soviet montage formalism, Man’s impressive in its seamless control of actuality and subjectivity. As nationalistic propaganda, it deviates from parading any set of forced ideals and focuses on people. As a silent film in general, it tells the story of a whole nation without a single intertitle. Add to it its ingenius use of self-reflexivity, allowing to see a day in a life of an unnamed city and then watching as, brace yourself, the editor pieces the film for us to watch as an audience in the actual movie, and you’ve got a master at hand orchestrating a well-maneuvered requiem to a medium we had already bid farewell. So at #1 Man with a Movie Camera goes. You want to talk about unprecedented, Luis Buñuel did to experimental cinema in less than twenty minutes what few, if any artists in that vein, could claim in a career’s lifetime. Then there are those films that treaded the fine line between silence and sound. I’ve had the fortune of watching Alfred Hitchcock’s Blackmail on the big screen with Anny Ondra driven mad by the word “knife.” It is said that a silent version of the film exists, but I can’t imagine its delivery being just as impactful. A Cottage on Dartmoor mirthfully plays with a scene mocking sound at a movie theater that’s as scathing as Chaplin’s jabs towards talkies in City Lights and Modern Times. But other than that, Asquith’s glum thriller is anything but playful. Vidor’s Hallelujah and Lubitsch’s The Love Parade take leaps and bounds by becoming some of the very first musicals in film, all the while directors like G.W. Pabst and Frank Borzage presented works that were nothing less than masterpieces of the silent movement. Those titles that just missed the ranks include a twofer from Dudley Murphy. Both St. Louis Blues and Black and Tan are exceptional in conveying just what exactly the blues and jazz meant respectively at the time, not to mention becoming cinematic landmarks on music history by preserving in film the enigmas that were Bessie Smith and Duke Ellington. Erich von Stroheim had his problem picture Queen Kelly, with Gloria Swanson taking control midway and unfortunately losing focus, and The Marx Brothers debut was forever embedded in nitrate with The Cocoanuts. Notable performances (apart from Louise Brooks cementing a mother of a legacy in one year alone) include Helen Morgan in Rouben Mamoulian’s remarkably fluid Applause, Anna May Wong overseas in E.A. Dupont’s Piccadilly, and Gary Cooper in Victor Fleming’s Wolf Song and The Virgininan. My argument for the latter being that while Cooper wasn’t the most versatile actor around, he had the poise and disposition of what I always found myself to believe was a true movie star. So there you go. 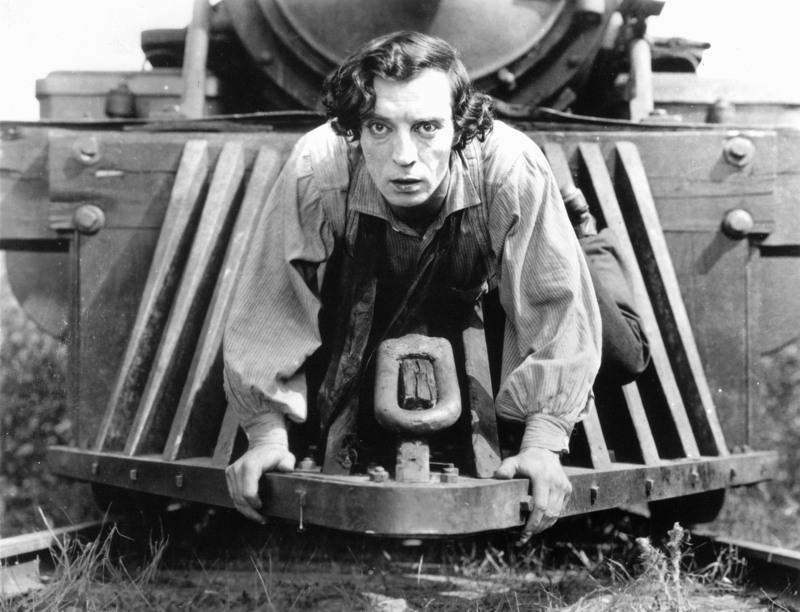 Buster Keaton’s The General is still a wonder to behold. It doesn’t attempt to procure any particular acclaim outside of entertaining, and yet today it’s considered a masterpiece of the silent era. There’s no high concept theme sermonizing about the “human condition” or sophisticated cinematic techniques commenting on the plot and/or characters. It just tells a good story and chugs along. Like its homegrown protagonist, it’s the film’s charm and deceptively simple approach that makes it such a unique and delightful experience. Which really could be said about the work of any of Keaton’s contemporaries (see Harry Langdon in The Strong Man). They made the laughs look far much easier than what they really were, often breaking a couple of bones along the way. And when they got it right, well… how else could one describe their movies but sublime. And that The General is, standing out in a somewhat tepid year for film. 3 Bad Men is one of John Ford’s best, skewing the lines between corrupt authority figures and noble criminals long before directors like Anthony Mann or Sam Peckinpah revised the genre. And this is Ford we’re talking about! In the nineteen-twenties! Then there’s Lillian Gish at a culmination in her career. While other actresses scrounged for the kewpie doll/gamine roles, Gish was busy challenging herself with each new film, enriching her body of work by continuously expanding the boundaries of her craft and paving the way for other great American movie actresses to come (à la Bette Davis and Meryl Streep). But Gish does get quite the stiff competition from Greta Garbo, who’s luster is equally as bright in Flesh and the Devil. That film makes it on the list just over a handful of other strong contenders. But I’ve got to learn to have a little self-control, especially after cramming The Adventures of Prince Achmed in there with another gloriously visualized German classic. So Flesh and the Devil has to stick it out on its own at the number ten spot. Those that did miss the cut include Teinosuke Kinugasa’s feverish A Page of Madness and Ernst Lubitsch’s jazz age extravaganza So This is Paris; the latter based on a couple of hilarious skits I discovered online in an otherwise hard-to-find comedy. Mary Pickford had Sparrows, which has one of the most touching scenes involving an orphan and an apparition that captures the pathos of the moment just right, and Rudolph Valentino bids farewell with The Son of the Sheik. Then there’s Raoul Walsh’s boisterous What Price Glory?, one of Harold Lloyd’s self-proclaimed “gag pictures,” For Heaven’s Sake, and the criminally underrated Beatrice Lillie laughing it up in Exit Smiling. And where’s Chaplin? Perhaps he needed to take a break after climbing up the Klondike. Next week: 1973. Has anybody seen my cat?